Craig’s List offers you the ability to post the rent, the number of bedrooms, a subject, the specific location, and the body of the ad. You can also fill in your email address and the address of the property so people who are interested can get a map to the location. In addition you can specify if cats or dogs are allowed in the apartment. The specific location is different from the address. Generally for specific location, you would want to list the district of the city. For instance, in Buffalo, you might use South Buffalo, University, Black Rock, or any of the other defined districts. This will help people narrow down what they are looking for when they scroll through the listings. You want to make your subject catchy, but also informative. A subject such as, “3 Bedroom Upper on Main – NEW KITCHEN!” is informative because it tells you the pertinent information up front. The new kitchen will catch the attention of someone scrolling through the page. You do not need to list the rent amount in the subject, because Craig’s List automatically adds that before your subject. The body of the text is really where you can get into the specific details about the apartment. Start off by talking about the apartment, then move on to amenities offered. Round out the body by listing things near the apartment, such as restaurants, bus lines, parks, schools, etc. Beautiful 3 bedroom upper apartment with newly renovated kitchen and open floor plan is great for entertaining. Sliding glass door leads to balcony as well as allows tons of sunlight in. 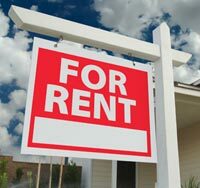 Rent includes water, tenant pays gas and electric. Amenities include on site laundry, free wireless internet access. Enjoy the benefits of the area! This apartment is within walking distance to several restaurants, bus lines to downtown, and the Boulevard Mall. Conveniently located between University of Buffalo North and South campuses. Please call us at (716) 555-1234 or email us at rentals@abcrentals.com for more information! Keep in mind that a picture is worth 1,000 words. Craig’s List gives you the ability to upload 4 photos of your apartment! Why wouldn’t you take advantage of that feature? Find 4 well lit rooms, or amenities that your apartment or complex offers (nice kitchen, pool, etc.) and be sure to attach them to your ad. Marketing your apartments on Craig’s List is a smart move for anyone renting an apartment. The response rates vary, but are generally very good. Keep in mind that you can repost your ad every 3 days to keep your apartment near the top of the list. The more active you are in your marketing, the more responses you will see on your apartment!